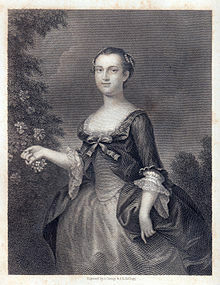 Martha Dandridge Custis Washington was born on June 13, 1731 in Virginia. She was raised and educated with a great deal of emphasis on the skills she would need to run a household as well as the basics of reading, writing and math. 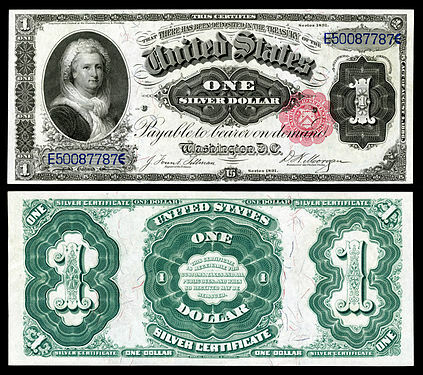 She married a wealthy plantation owner, Daniel Parke Custis in 1749. They had four children, and upon his death in 1757, Martha inherited his estate. they were wed in 1759. To the left is a picture of Martha as a young woman. 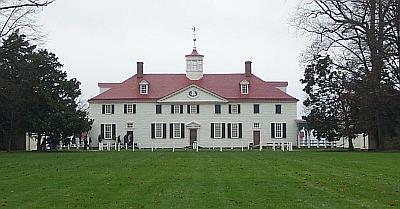 George owned a plantation in Mount Vernon, Virginia where she moved with her children, John, Frances, Daniel and Martha. During the Revolutionary War, she often traveled to where he was encamped and spent time with him. After the war, when he was elected the first President if the United States, she followed him to New York and then to Philadelphia to serve as the First Lady. Although she actually preferred privacy, she was well known for the social events held at the beautiful mansion on the Potomac and later at the one she lavishly furnished in New York. People came to refer to it as “The Palace.” However, she and George did have different views about entertaining. 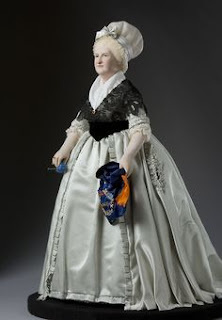 Martha was often accused of being prejudiced and partial to the Federalist party to the extent of snubbing the Democrats to entertain esteemed Federalists. She was criticized for her actions, and one statesman, Albert Gallatin is quoted as saying, “She is Mrs. President, not of the United States, but of a faction.” Another critic said, “Without the tact to conceal her prejudices, she was a grudging hostess to all but her own circle.” On the other hand, the President held his once-a-week official dinners for as many as the table would hold. His dinner parties were described as being in a very handsome style and friendly to all. 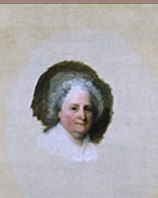 She looked to Europe for inspiration in setting standards for her official affairs, and she developed a friendship with Abigail Adams. Even when not entertaining, she set standards in her household by her attire. She also held slaves in her household and did not emancipate them with her death. 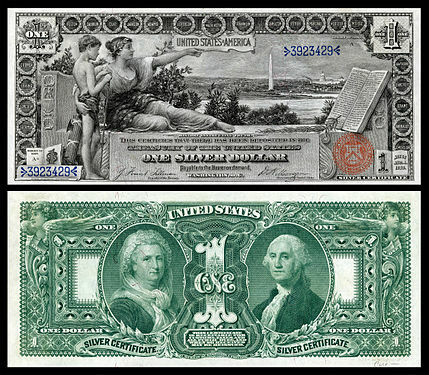 Instead, she bequeathed one of them to her grandson, George Washington Parke Custis. Her dower slaves were reverted to the Custis estate and divided among the heirs. 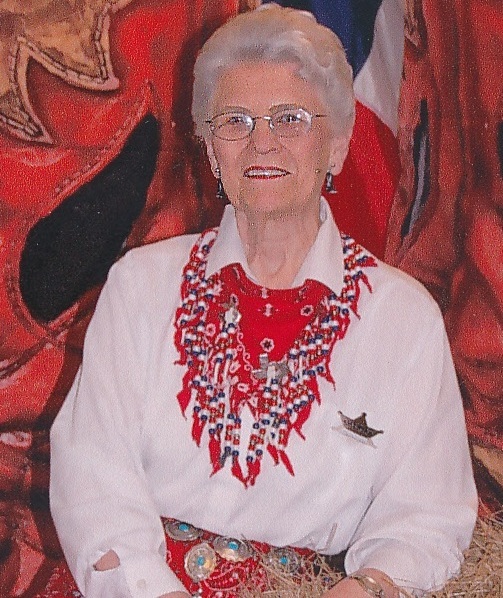 She experienced tremendous loss with the deaths of two of her children: Patsy died from epilepsy during her teens and Jack succumbed to "camp fever" while enlisted in the military. Her health, which had always been precarious, declined even more after George’s death in 1799, two years after the end of his term. She took ill in 1802 and died on May 22 at the age of 70. She is entombed at Mount Vernon with her husband. My sister and I visited Mount Vernon a number of times both when we lived there when I was in eighth grade and again when we traveled there together. Everyone approached the house from the back as the front faces the Potomac River. Long lines form in the back as people wait their turns to visit the house. I happen to like the front better than the back. In 1902, the United States Postal Service honored her as the first American woman to be featured on a stamp. 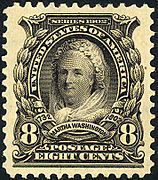 A second stamp was issued in her honor in 1923, and a third one in 1938. She was also featured on a dollar bill in 1886 and with George Washington in 1896. Our first First Lady had quite a history, yet most people can’t tell you much about her. She did not stand out like Dolly Madison, but she did make her mark on the position of First Lady of the United States of America. Martha Rogers is a free-lance writer and writes a weekly devotional for ACFW. Martha and her husband Rex live in Houston where they enjoy spending time with their grandchildren. A former English and Home Economics teacher, Martha loves to cook and experimenting with recipes and loves scrapbooking when she has time. She has written three series, Winds Across the Prairie and Seasons of the Heart and The Homeward Journey. Her new contemporary series, Love in the Bayou City of Houston and novella, Christmas Blessing are now available on Amazon. A new novella, Garden of Love will be released later this month. Thanks for this wonderful reminder of one of our "founding mothers." Thought I'd mention a wonderful book I read a while back about Martha Washington titled Washington's Lady by Nancy Moser. It brought her to life for me. I've seen that book, but haven't read it. 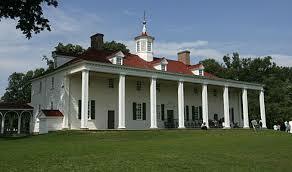 I fell in love with Mount Vernon when we took a riverboat ride on the Potomac River and saw it from the front. Seemed strange to have to enter from the back, but that was the only way to get to the house. What great history about the country's original First Lady, Martha. Thanks for sharing these interesting insights! Great post! I've enjoyed reading about our First president & First Lady. For those interested, I've enjoyed Martha Washington: An American Life by Patricia Brady. It was entertaining and gives us a glimpse into her life. I've posted it here on my blog, http://justcommonly.blogspot.com/2014/10/a-fine-first-lady.html. I've read that book. It sure whetted my interest in her. The last trip to Mount Vernon was more interesting because of what I'd read about her. Thank you for this great post, Martha!